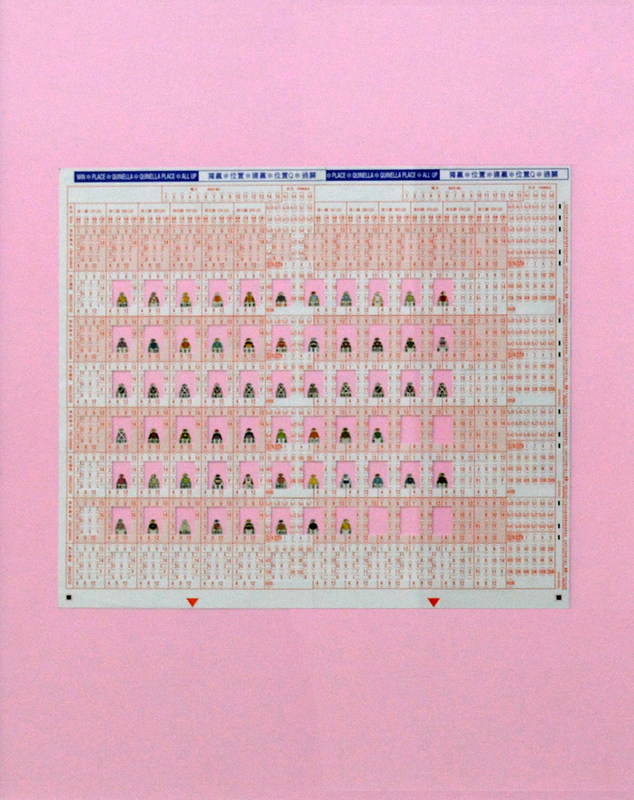 HONG KONG – Karin Weber Gallery is pleased to present A Hong Kong Everyday: New Works by Brainrental Elvis Yip Kin Bon and Joyce Lung Yuet Ching. In this exhibition, the gallery explores the relationship between everyday life and the art it inspires by considering the works of three Hong Kong artists. 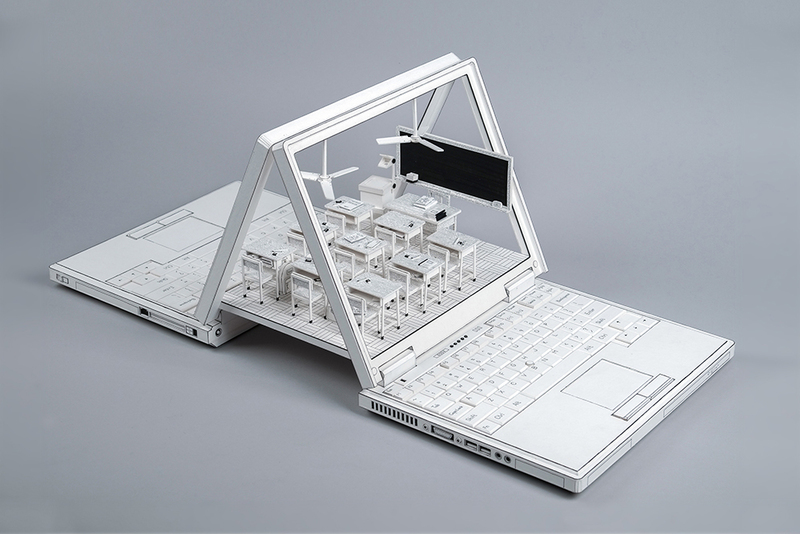 On the surface, Brainrental’s cardboard laptops, Yip’s masking tape depictions, and Ching’s bottles of cleaning products in ceramic, appear to be nothing but replicas of common objects for daily use. Look closer, however, and these mundane objects are transformed into vehicles for social commentary, critique and nostalgia. Brainrental (Kevin Leung, Roger Mak and Chu Cheung) a trio of inspired thinkers, “rent each other’s brains,” they like to say, in order gain new insight into any given project. 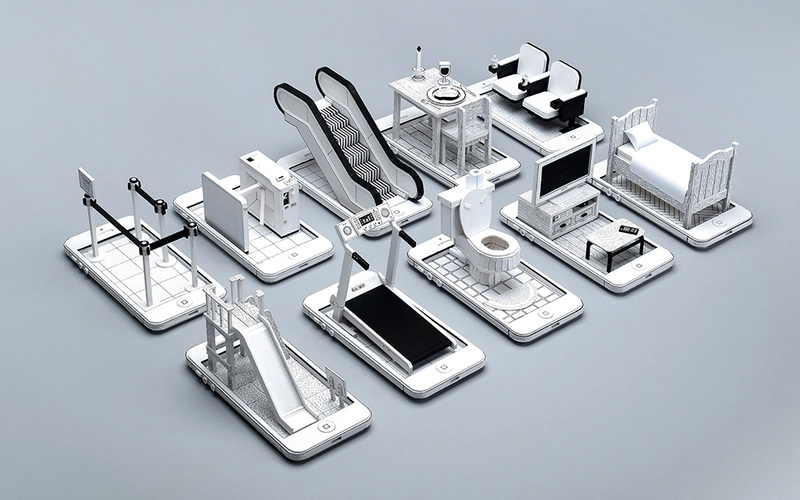 The team is obsessed with old technology, objects that once caught their collective gaze, but have lost their allure due to new advancements. 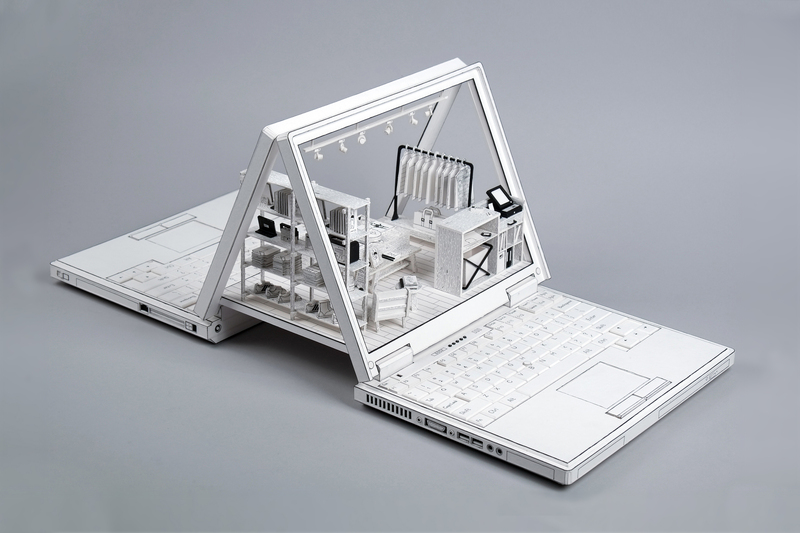 By recreating these once treasured gadgets in cardboard, the group suggests their fragility and impermanence. 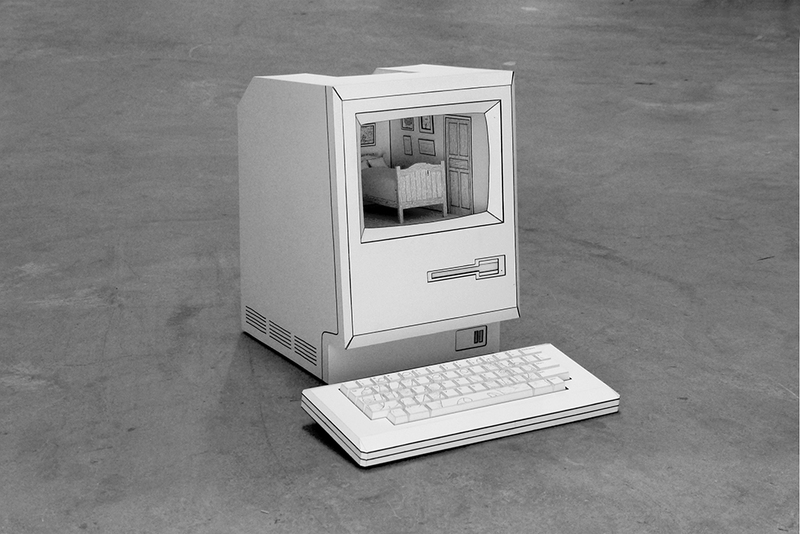 Yet there is also something more: these objects also hold memories and conjure up feelings of nostalgia for a past era. Elvis Yip Kin Bon, an artist famous for his unusual use of materials in his artistic creations, skips between light and heavy societal themes with the flirty agility of a butterfly. 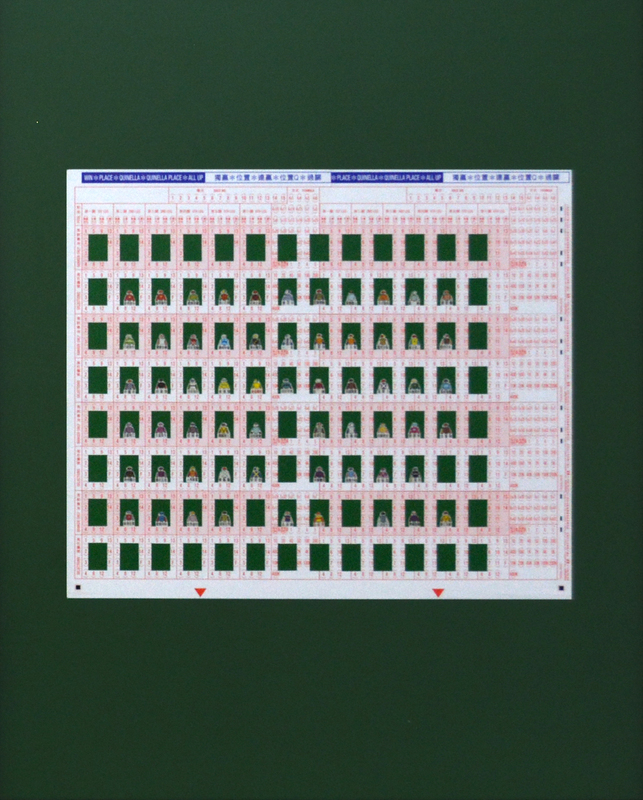 From his masking tape-covered canvases depicting the unexpected delicacy of everyday urban life to a collage made from horse race betting tickets, an interesting commentary on this favorite Hong Kong pastime, Yip plays with themes familiar to his local audience. 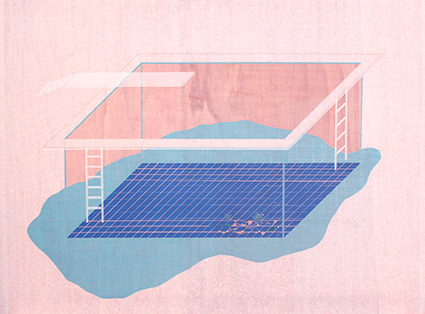 Joyce Lung Yuet Ching, a young artist who recently graduated from Hong Kong Baptist University, Academy of Visual Arts, expresses nostalgia for the family helper the artist holds dear. 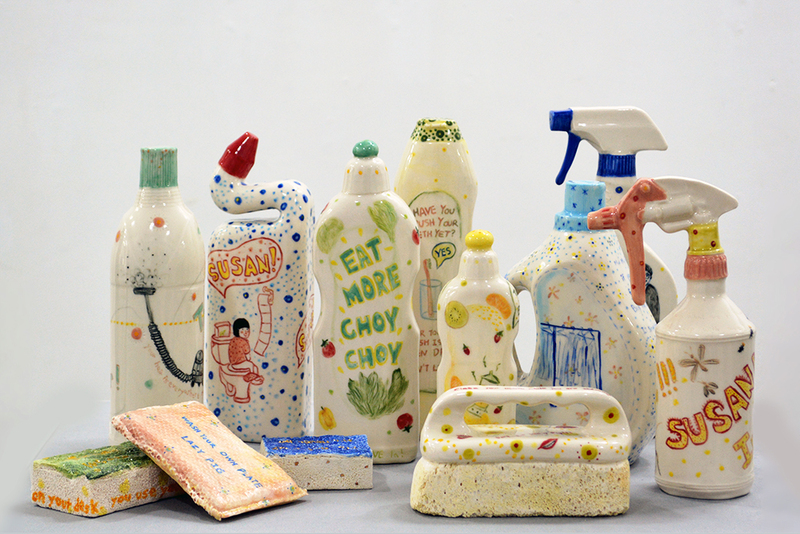 Ching creates ceramic works inspired by everyday cleaning products. These are not emblazoned with the brand names; however, they hold pictorialized memory fragments that Ching and the helper share. 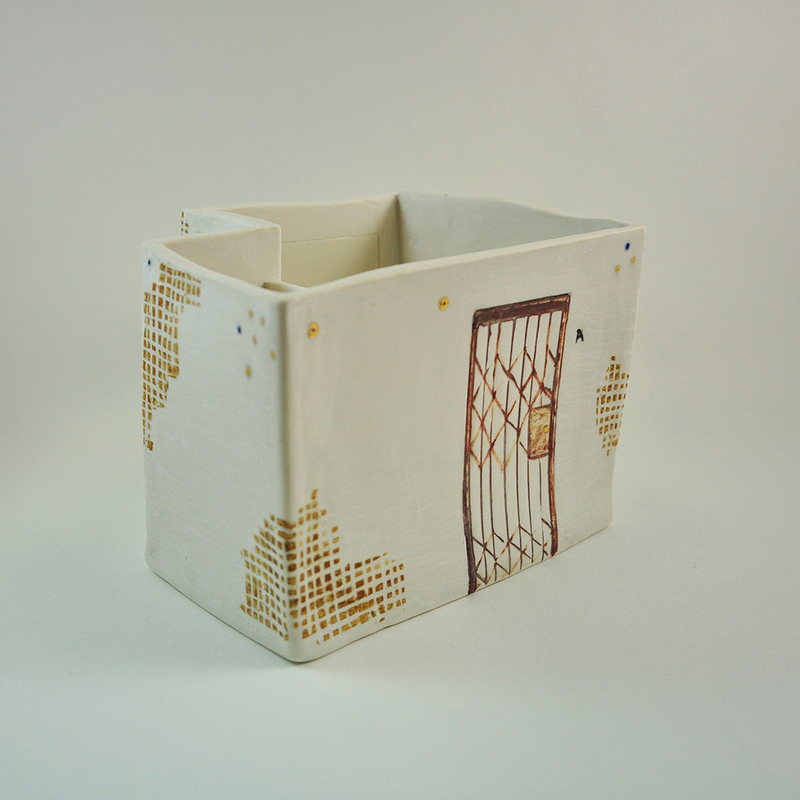 It is the artist’s intention to express her affection for a woman who, quite literally, “walked her through her childhood.” Ching also hopes to inspire local citizens to think more deeply about how they treat the individuals who care for the city’s young souls. Some say life is art, but art is life too. Like all of us, artists are not immune to the unconscious influence of everyday life on the mind and spirit. Sometimes the most extraordinary inspiration comes from the most ordinary objects and the routines associated with them.